I make monthly blocks for the care circle at do.good stitches with a great group of aussie and NZ girls and we have so much fun in our group that we've decided to start a bee to make blocks for each other that we get to keep! The Sew Sisters bee will be making two blocks each two months so its very low key and low stress and all about the fun of making for each other. The first Queen Bee is Gina who asked for Rocky Mountain Puzzle blocks with fussy cut centres. I haven't really noticed this block before but after making these two blocks for Gina I've decided to make a whole quilt of them - its such a gorgeous block and quite easy and quick to make - it also has my favourite half square triangles and an opportunity for sweet fussy cutting ! I'm going to make a quilt using scraps of my favourite fabrics - you don't need much fabric to make these 8" blocks - and I'm happy to say that I have enough fabric to replicate these two I made for Gina cause I love them so much ! I'm going to make it one of my slow sewing projects for next year and try and make 2 blocks a week - I''ll need 72 blocks - so hopefully this time next year I'll have a finished quilt !! 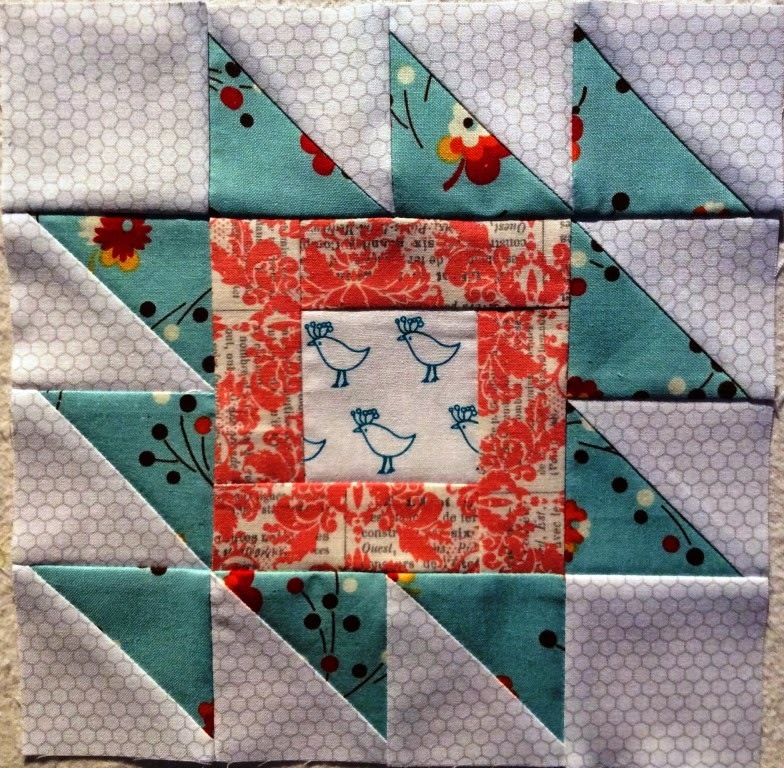 These are very pretty blocks - great fussy centers with beautiful accent. This is a lovely block and will make a super sweet quilt. Everyone loves this block! Perhaps you could make it your bee block too! Thank you. I love these that you have made for me . I love the bike in the first block! Such cute blocks!! 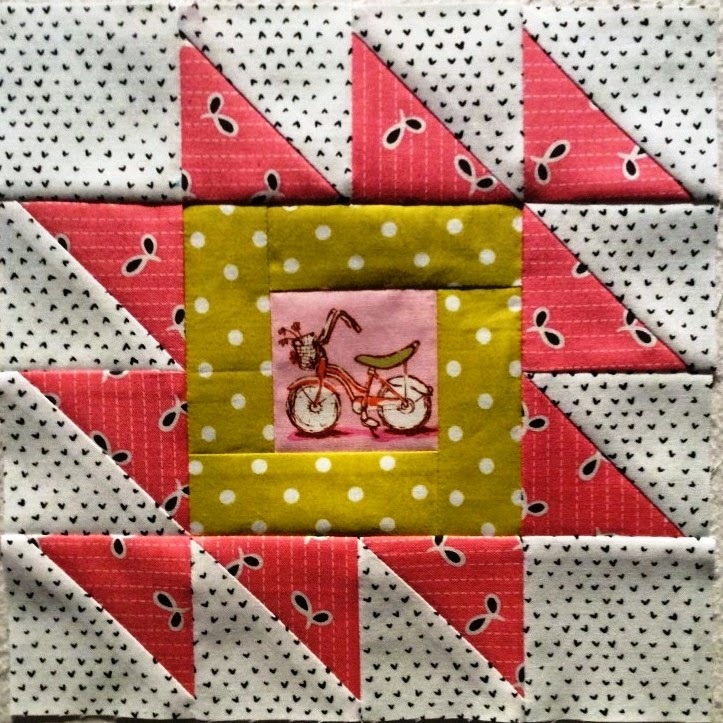 What a great idea to make 2 blocks a week, it'll be fun picking out favourite fabrics to fussy cut for the centers.